The creation of a beautiful landscape involves emotion and skill, and requires great attention to detail. 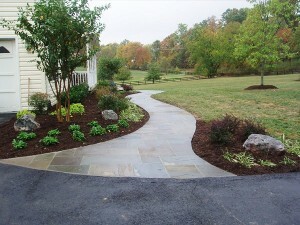 At Norris Landscaping, we have professional teams that will combine innovative design, an extensive knowledge of plants, and blend them to produce an experience you will absolutely love.Our expert installers skillfully merge all the pieces together so that your landscape will exceed your expectations and result in many years of satisfaction. Please contact us to discuss the many ways we can fulfill your individual needs.